You know that jar you’ve got on your counter? The one that you’ve been dropping dollars and pennies and quarters into for the last several months? 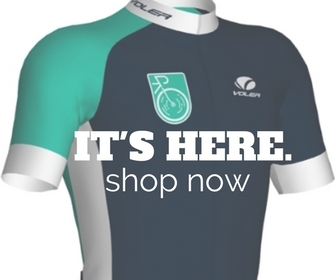 The one that’s supposed to be for your $500 super stiff, supple, perfectly fit, Boa dialed, carbon racing shoes? 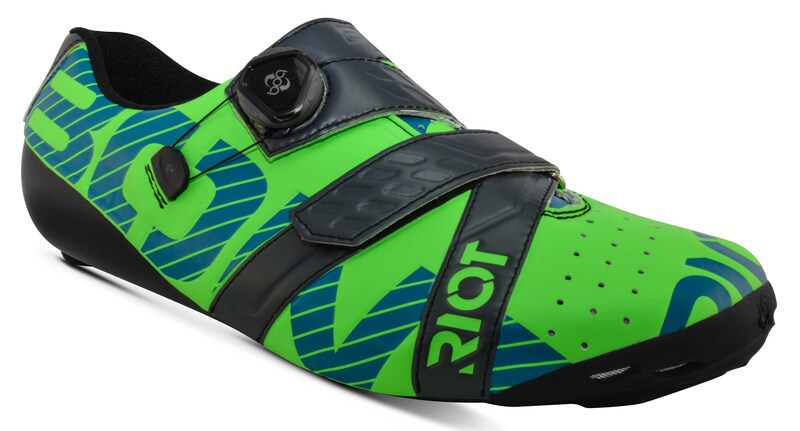 Now I’m not saying you shouldn’t spend $500 on racing shoes, but Bont’s new Riot+ might mean you don’t have to spend quite so much to get a high performance shoe. Hitting the market in November at $179 ($159 with ratchet and no Boa dial), it’s hard to ignore the technical features the Riot+ has to offer. A little different than your average cycling shoe, Bont likes to give your feet room to breathe with a shoe that has a more natural toe-box and a heat moldable sole. This means you literally put these shoes in your oven, take them out and fit them to your own foot. For reals. 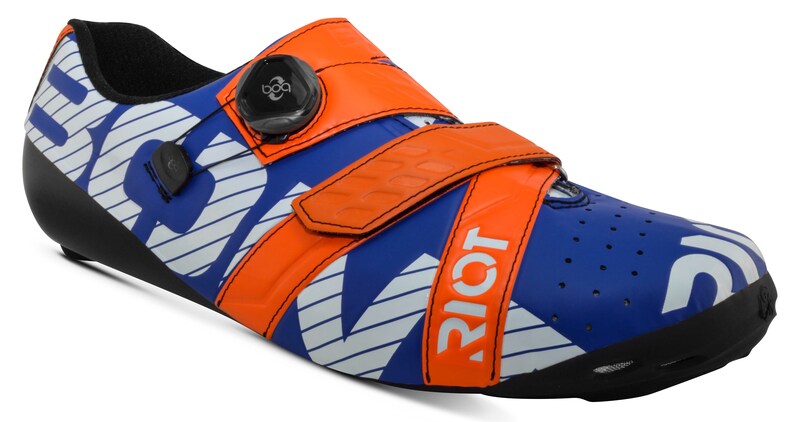 The Riot is the world’s first carbon composite heat moldable entry-level cycling shoe, and now Bont has upgraded their original Riot to include the Riot+ with Boa dial closure (the ratchet stays on the less expensive Riot without the +). They’ve trickled down their graphics, micro cleat grid (to put your cleat exactly where you need it), updated the overall look of the Riot and Riot+ to better match their higher end shoes. Extensive perforations of the top panel along with integrated air vents on the front bumper provide ventilation while a high-grade micro fiber upper finishes off the look. Like Bont’s pro series, the Riot’s tub style chassis is strengthened with a carbon band across high stress areas and an anatomical heel cup for stability during the pull through and up stroke. We saw them up close at Interbike, and they definitely mirror the build quality of their more expensive siblings in the Bont line. Plus, they’re offering more of us the opportunity to sport some pretty screaming kicks. Or maybe to just stick with the white and black. Your call. The full color ways offered are: mega crimson with khaki; midnight with mega crimson; pearl white with black; totally lime and charcoal. No matter what, we like the price point on the Riots with the ratchet style selling for $159 and the Riot+ Boa at $179 (MSRP). What do you think? 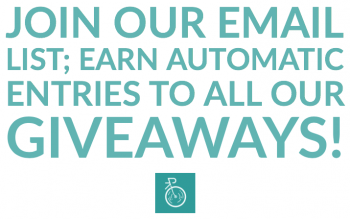 Grab more info at Bont’s official website, or get them at your LBS in November of 2016.